OMG Posters! 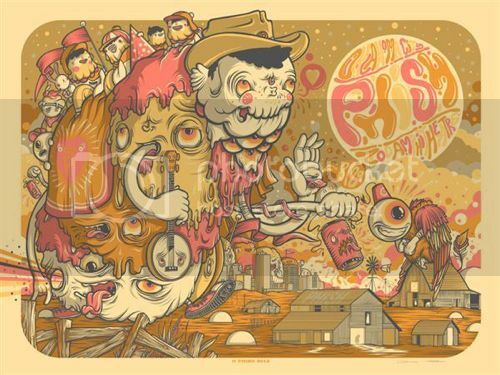 » Archive Phish Posters by Drew Millward and Ken Taylor (Onsale Info) - OMG Posters! 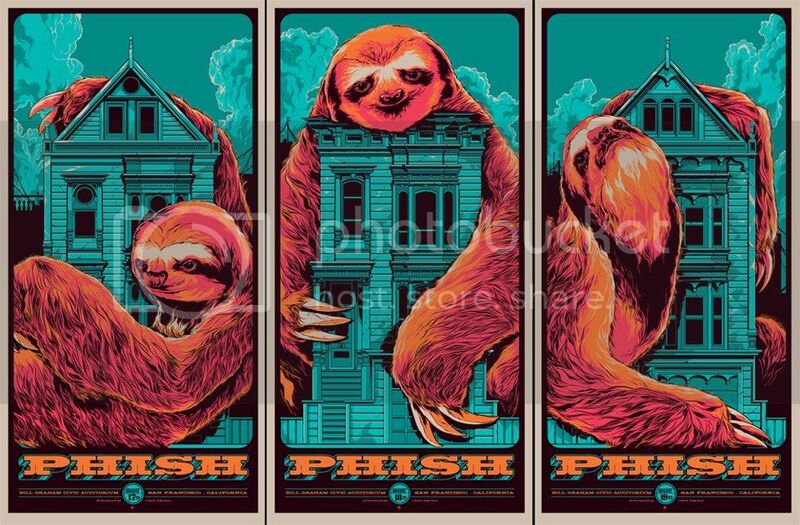 You’ll get your shot at a number of new Phish posters this week. Drew Millward’s poster is an 18″ x 24″ screenprint, has an editiion of 800 (much, much less online), and will cost $50. Ken Taylor’s set includes three 12″ x 24″ screenprints (all with editions of 975 (again, much less online)) for $150. Drew’s goes up Thursday, September 6th at a random time. Ken’s go up Friday, September 7th at a random time. Visit Postersandtoys.com.